Join us for a fun day of golf! Click here to learn more about our annual golf outing and download a registration form. We thank all our 2018 sponsors. If you would be interested in sponsoring us this year, please contact Dave by clicking here. 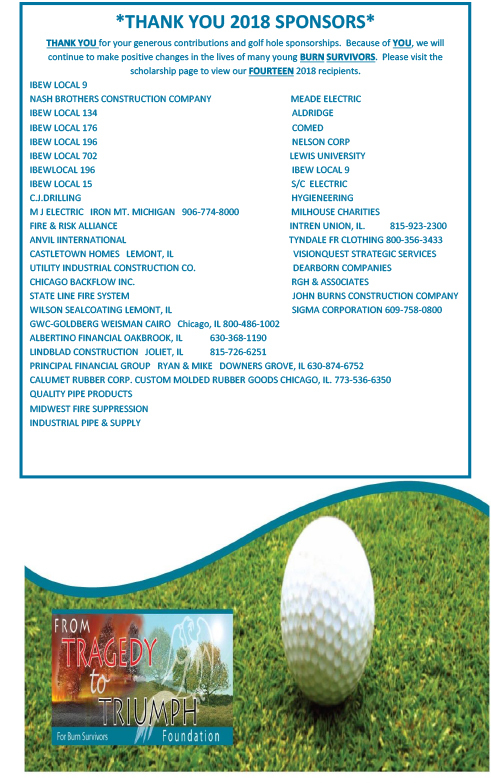 Click the image below to view PDF of the 2018 sponsors.